Town boss Jamie Fullarton has praised the impact of deadly duo Manny Duku and Devante Rodney, who go in search of more goals on Saturday against Bromley. 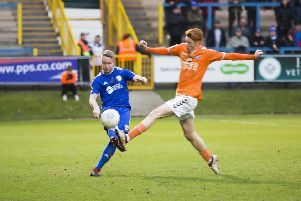 The pair have netted seven goals between them in 14 starts since joining the club in February, with their goals earning Halifax an extra five points in that time. Their time at the club has coincided with some of Town’s best results of the season in wins over Eastleigh and Solihull and last Saturday’s 2-2 draw at Leyton Orient, in which both players scored. And Duku, on loan from Cheltenham, and Rodney, on loan from Salford, will be aiming to add to their tallies at The Shay tomorrow against mid-table Bromley. Fullarton said: “There’s a lot of effort that goes on behind the scenes. The recruitment department is me, so there’s a lot of time and energy spent on trying to reduce the liability, and trying to get players who can hit the ground running. “Sometimes it’s difficult. because financially we can’t compete in the top-half of our division from a recruitment point of view. “I have to think outside the box, so it’s pleasing when it works and we do get what people see as an instant impact. “We’re at the stage in our progression where we’re seeking marginal gains. “Clean sheets and defensive organisation give you the foundation to challenge for promotion, but goals win you games, and goals cost money. “So that’s a challenge for us. But it’s great to see when you borrow, beg and steal that it’s added that edge to us. Fullarton insists his players will not be easing up just because the end of the season is in sight. 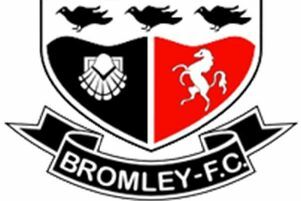 Halifax host Bromley in a dead-rubber, with both sides safe from relegation and out of the play-off picture. But Fullarton is adamant there will be no drop-off in effort from his side. “It happens many times when teams get safe, they put their tools away,” he said. “But the environment and culture we have at the club, and the professional pride point of view as a manager, I would never allow that to happen. “But that comes down to having players that trust and believe in what you’re doing. And that gives you a sense of satisfaction. “If the manager is the satellite navigation, the players are the driver. “And I don’t think there’s many times this season that you can doubt that in our group. When asked if some players in his squad are playing for their futures, Fullarton said: “Whether it’s the first or the last game of the season, players always play for their future. “Part of the culture here is for the players to be the best they can, every day. “Every day in training, the demand and the intensity is there. That’s driven by me, but they have to buy into it, and they do. Fullarton is pleased with his side’s form since the turn of the year. “I think if you look at where we’ve been since Christmas, we’re looking at an average of around about 1.5 points a game,” he said. “So you’re up there with 70 points (with that ratio), so we’re looking to maintain that and kick on. “Having had the good start and then there were certain factors that impacted us at different times. “There’s two things that influence sustainability - injuries and suspensions, and finance.